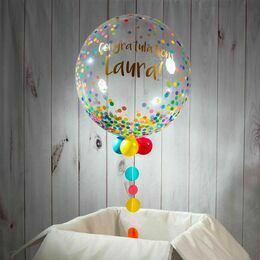 If you're struggling for a gift to wish someone a happy anniversary, why not send a personalised confetti bubble balloon? 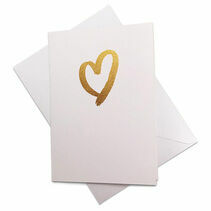 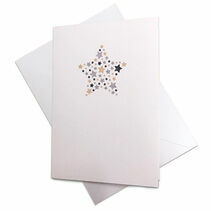 You can choose from a range of colour fill options and even add your own message to the outside. 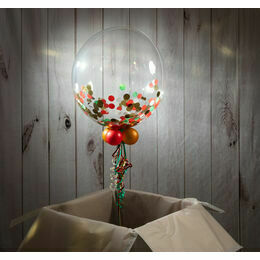 At the end, we add four smaller balloons to the base along with matching ribbons and a weight. 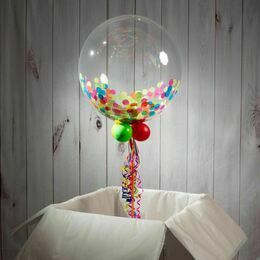 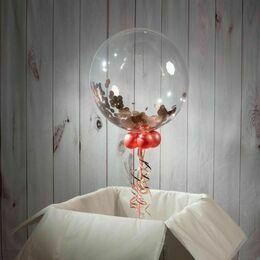 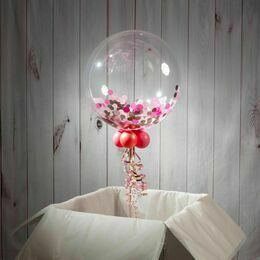 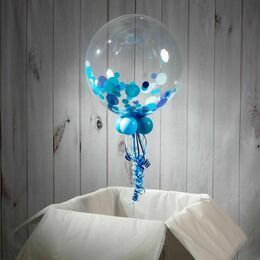 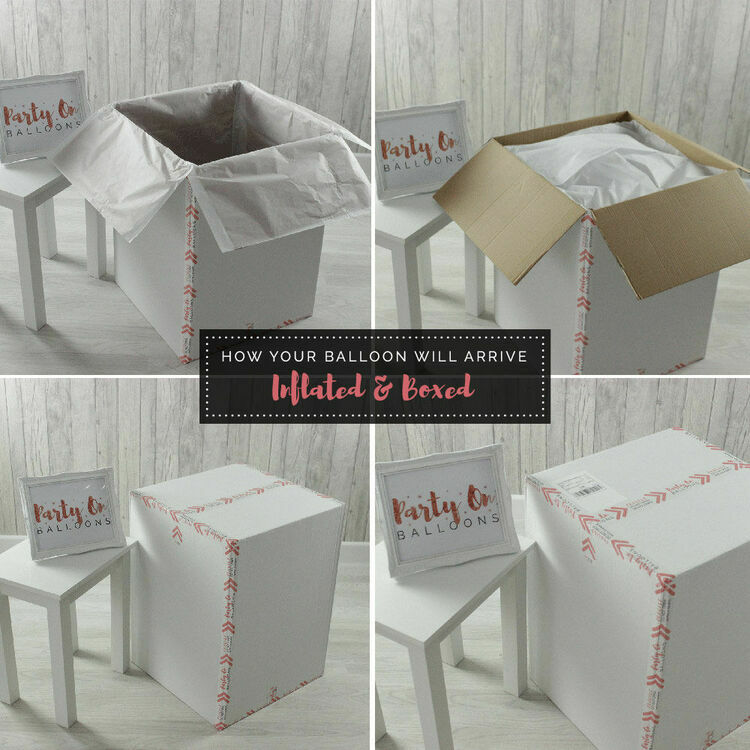 Long lasting, these balloons will average between 2 - 4 weeks.